Seoul, South Korea, is a vibrant and colorful city. 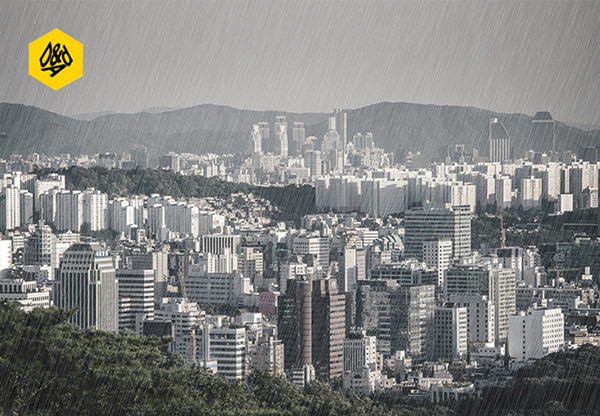 But, during the annual 3 week monsoon season, Seoul's energy and color disappear under the dark cloud and people staying indoors. 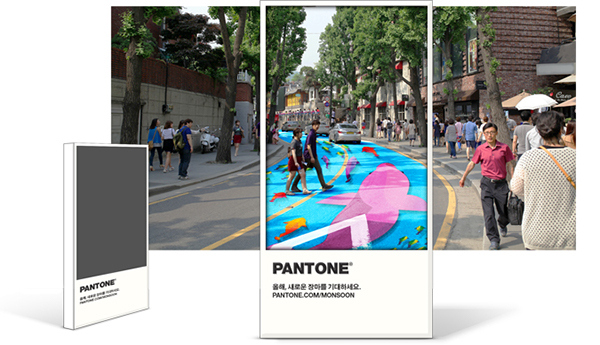 With the help from Pantone we wanted to change that. To bring back the color. 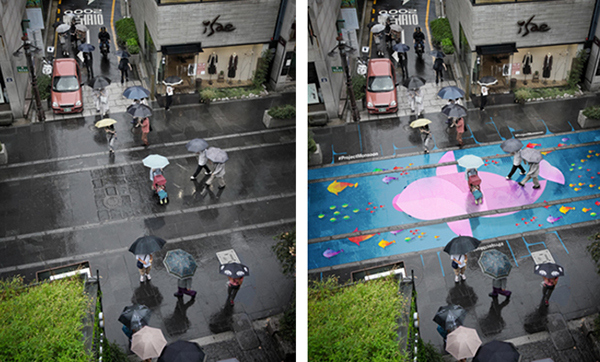 We painted the streets of Seoul with hydrochromic paint - a special formula which changes from transparent to opaque when it gets wet. 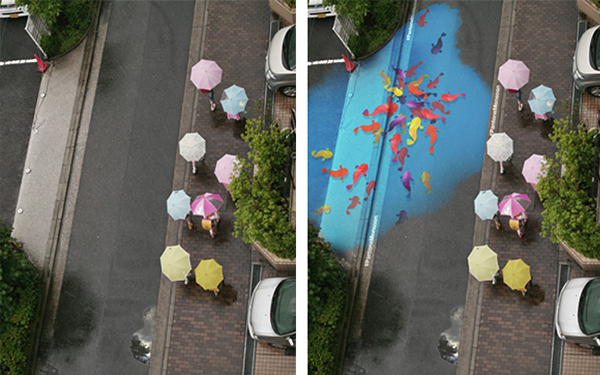 Inspired by South Korea’s culture of emphasizing the importance of the flow of rivers, the paintings utilize Korea’s topographical features that create a flow and puddle of rain water in every street to fill the streets with color and life. 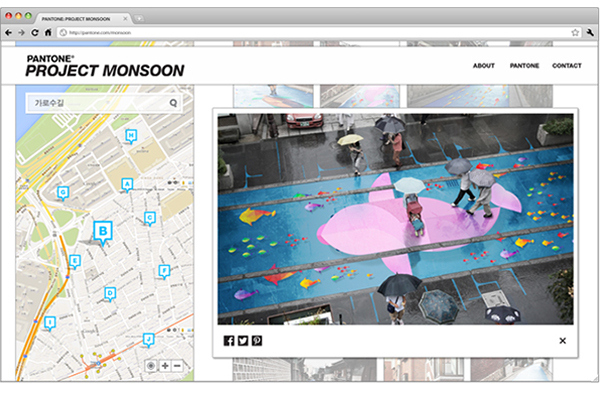 Augmented reality billboards, interactively displaying a glimpse of the project, are set up around the streets before the monsoon season to tease the project and also to give people something to look forward to in this year’s monsoon season. Online gallery showcases hashtagged (#ProjectMonsoon) photos of the project to extend the experience during and after the monsoon season. 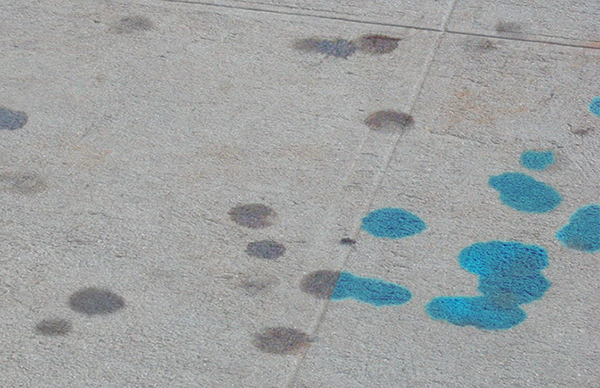 Geo-location feature allows the gallery to pin point the location of the painting.